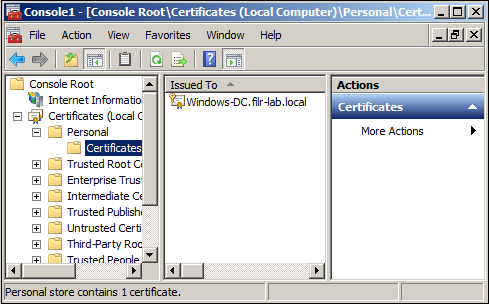 If your LDAP directory service requires a secure LDAP connection (LDAPS), you must configure Novell Filr with a root certificate. The root certificate identifies the root certificate authority (CA) for your Filr site, which enables you to generate a self-signed root certificate based on your eDirectory or Active Directory tree. Launch and log in to iManager for your tree. Click the magnifying glass icon to browse to and select the “Tree Name CA” object in the Security container of the eDirectory tree. Select the check box for the self-signed certificate and click Validate. Select the check box for the self-signed certificate and click Export. Deselect Export private key, then click Next. Click Save the exported certificate, then select File in binary DER format. Save the file to a location where it can be accessed later and with a filename that you can remember, such as SelfSignCert.der. Continue with Section 24.2.2, Importing the Root Certificate into the Java Keystore. On the Windows server, click Start > Run, then enter mmc. 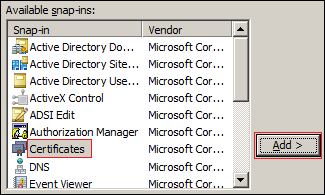 If the Internet Information Services (IIS) Manager snap-in is not installed on your Windows server, install it. 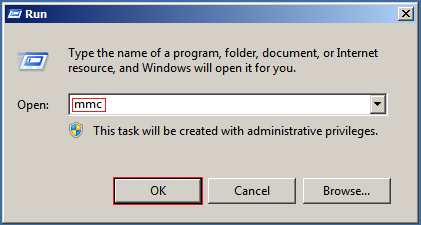 With IIS selected, click Add, then click OK. In the left frame, click Internet Information Services, then click a Windows server that Filr can connect to for synchronizing users. 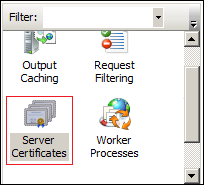 In the Filter list, scroll down to Server Certificates and double-click the icon. 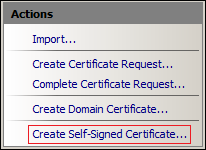 In the Actions list, click Create Self-Signed Certificate. 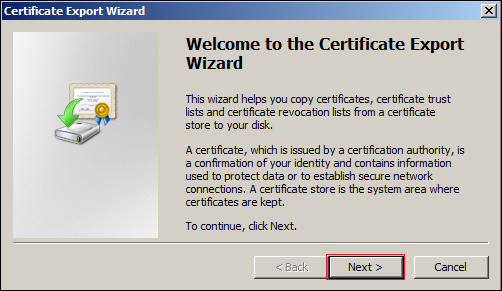 Name the certificate with a name you can remember, such as the server name, then click OK. Type Ctrl+M, select the Certificates plug-in, then click Add. In the Snap-ins dialog, click OK. 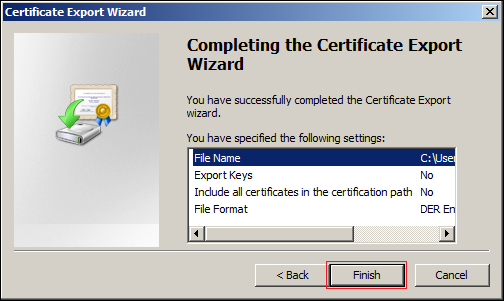 In MMC, expand the Certificates plug-in, expand Personal, then click Certificates. 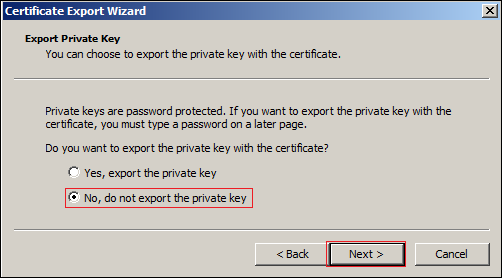 Ensure that No, do not export the private key is selected, then click Next. 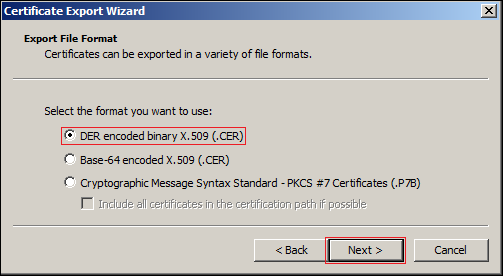 Ensure that DER encoded binary is selected, then click Next. Name the certificate, then click Next. The certificate is saved in C:\Users\Your-User-Name. Ensure that the certificate is accessible from your management browser. Click the Appliance System Configuration icon. The Novell Appliance Configuration page is displayed. In the Key Store drop-down list, select JVM Certificates. Click File > Import > Trusted Certificate. A .der certificate is required for the import to be successful. Browse to and select the trusted root certificate that you want to import. 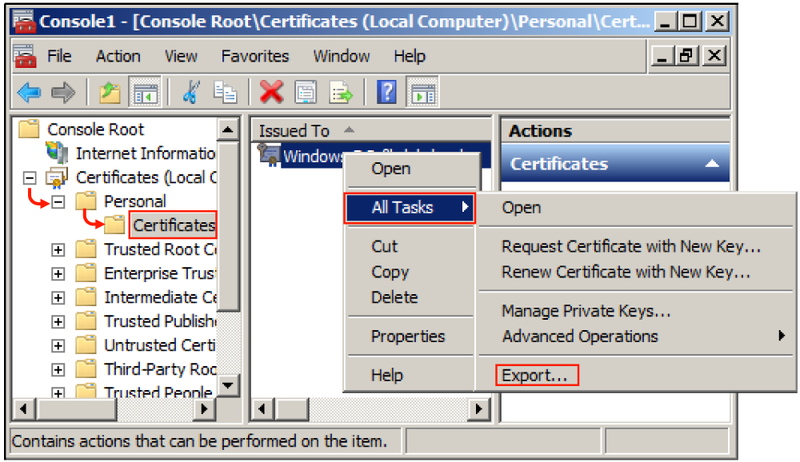 If you want to import multiple certificates, ensure that the certificate names are different for each certificate. Do not make any changes to the Alias field. It is populated by default. The certificate should now be displayed in the list of JVM certificates. Restart Filr so that Tomcat rereads the updated Java keystore file. You are now ready to configure your Filr site for secure LDAP synchronization, as described in Section 14.1, Synchronizing Users and Groups from an LDAP Directory.